The North Carolina Industrial Commission recently approved a badly needed update to the Commission’s Medical Fee Schedule. The medical fee schedule sets the maximum compensation that can be charged by medical providers for a particular medical procedure in a North Carolina workers’ compensation claim. 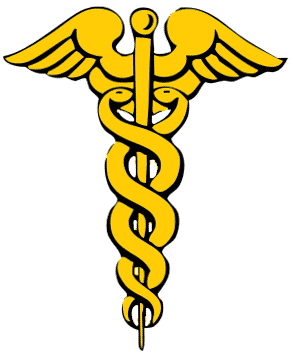 The last revision to the medical fee schedule was in the mid 1990’s. It is the responsibility of the employer or its workers’ compensation insurance company to arrange for medical treatment for injured North Carolina workers. Most insurers meet this obligation by arranging for treatment with a private physician, who is designated as the employee’s authorized medical provider. The authorized medical provider in turn arranges for medical treatment, including diagnostic testing, hospital facilities, and rehabilitation. Private medical providers submit their bills to the employer’s workers’ compensation insurance company, which makes payment pursuant to the Industrial Commission’s medical fee schedule. The Industrial Commission resolves any disputes between employers and workers’ comp insurers over medical reimbursement rates. The Industrial Commission’s medical fee schedule has been under discussion for some time. Compared to other states, workers’ compensation medical reimbursement rates were high for hospitals, but low for physicians. In 2013, the legislature brought the issue to the front burner by directing that the fee schedule be revised to reflect the federal Medicare reimbursement rates. Through 2014, the major stakeholders in the NC workers’ compensation system met for many hours with Industrial Commission Chairman Andrew Heath in an effort to reach a compromise on changes to the medical fee schedule. Ultimately, they were successful. Overall, reimbursements for hospitals will decrease, while fees for physicians, nurses and other professional providers will go up. Tying the fee schedule to Medicare reimbursement rates will also make reimbursements more predictable for medical providers and insurers. It may also make it easier for out of state medical providers to accept North Carolina workers’ compensation claimants. It is estimated that the changes will result in annual savings of 27 million to employers and workers’ compensation insurers. The recent revision to the Industrial Commission’s medical fee schedule is an excellent example of the historical level of cooperation among the stakeholders in the North Carolina workers’ compensation system. These changes were the culmination of hours of hard work by representatives of the North Carolina General Assembly, the North Carolina Medical Society, the North Carolina Hospital Association, the business community, workers’ compensation insurance carriers and the North Carolina Industrial Commission, among others. Representatives of the Workers’ Compensation Section of the North Carolina Advocates for Justice were also involved in the negotiations. 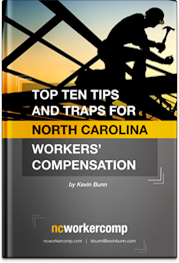 The NC workers’ compensation system is complex and change can be difficult. But kudos to the people involved here who were willing to put in the time required to reach a consensus.